Rebel spies make a risky move to steal the plans to the Empire's ultimate weapon, the Death Star. Setting up the epic saga to follow. I feel like this doesn’t get enough credit. 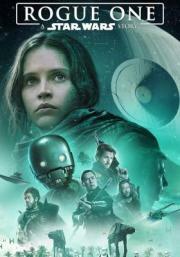 Rogue One may not push the needle for the franchise, and you would be completely fine not watching it as it doesn’t pertain to the main stories, but it’s a very good film nonetheless. You don’t need a lightsaber to tell a good Star Wars story, and Edwards did that. I wish we could’ve got another film with these characters. I also hope Edwards gets an opportunity to do his own Star Wars series, the dude definitely has he chops for it.